Professor St John's research is focused on solidification thechnology with particular interest in grain refinement and the formation of defects in castings of Al, Mg and Ti alloys. He has over 300 publications in journals and conference proceedings has been awarded the John Campbell Medal in 2014, the Materials Australia Silver Medal in 2011, the Amercian Society of Metals Henry Marion Howe Medal in 2006 and the Magnesium Technology Award by TMS in 2003. 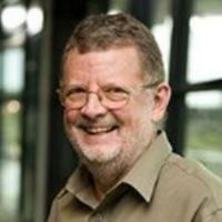 Professor St John is a graduate of The University of Queensland (UQ) with a BSc(Hons) and PhD in Physical Metallurgy. He has held appointments in Canada, RMIT University and CRA-Advanced Technical Development in Perth as well as a long association with UQ. From 1994 to 2008 he was with the CAST Cooperative Research Centre becoming CEO from August 2002 until 2008. He led the successful bid for the Defence Materials Technology Centre (DMTC) in 2008 and initiated the Centre for Advanced Materials Processing and Manufacturing (AMPAM) at UQ in 2009. He also successfully led an application to the Queensland State Government to fund a new building to house AMPAM which led to a further application to the Australian Federal Government for additional funding to construct the Advanced Engineering Building (AEB). He was then Chair of the Project Control Group for the construction of the AEB which was completed in 2013. Prof St John has made a significant contribution to developing research partnerships with industry and obtaining financial support for research and education facilities (totalling more than AUD$300 million). This includes, since 2003, $130 million for the new Advanced Engineering Building at the University of Queensland, about $70 million for industry-research partnerships such as the CAST CRC and the Defence Materials Technology Centre, and over $1 million for competitive research funding including several ARC grants. Current industry partners include Cook Medical, Bluescope Steel, Nihon Superior and Baosteel. Polmear, Ian, St John, David , Nie, Jian-Feng and Qian, Ma Light alloys: metallurgy of the light metals 5th ed. London, United Kingdom: Elsevier/Butterworth-Heinemann, 2017. Taylor, J. A., St John, D. H. and Easton, M. A. (2011). Case studies in aluminium casting alloys. In Roger Lumley (Ed. ), Fundamentals of aluminium metallurgy: Production, processing and applications (pp. 185-216) Cambridge, United Kingdom: Woodhead Publishing. Song, G. L. and StJohn, D. H. (2011). Corrosion of magnesium (Mg) alloys in engine coolants. In Guang-Ling Song (Ed. ), Corrosion of magnesium alloys (pp. 426-454) Cambridge, United Kingdom: Woodhead Publishing. Easton, M. A., Qian, Ma and StJohn, D. H. (2009). Grain refinement in alloys: Novel approaches. In K.H. Jurgen Buschow (Ed. ), The Encyclopedia of Materials Science and Technology (pp. x-x) Amsterdam ; New York: Elsevier. Dahle, A. K. and St John, D. H. (2002). Processing via the Liquid State. In Rees Rawlings (Ed. ), Encyclopedia of Life Support Systems (ELOSS) 1st ed. (pp. 1-46) Oxford, United Kingdom: Eolss Publishers. St John, David H., Easton, M. and Qian, Ma (2010) An overview of magnesium research at CAST. Metal Casting Technologies, 56 2: 30-35. Cao, Peng, Qian, M., Kondoh, Katsuyoshi and StJohn, D. H. (2007) A comparative study of carbon additives on grain refinement of magnesium alloys. Giessereiforschung [International Foundry Research], 58 4: 18-21. Song, GL, Bowles, AL and St John, DH (2005) Effect of aging on yield stress and corrosion resistance of die cast magnesium alloy. Magnesium - Science, Technology And Applications, 488-489 -: 709-712. St John, D. H. (2005) The CAST CRC: A light metals partnership between industry, government and R&D providers. Journal of Materials Science & Technology, 21 1: 61-64. Easton, M., Wang, H., Grandfield, J., St John, D. H. and Sweet, E. (2004) An analysis of the effect of grain refinement on the hot tearing of aluminium alloys. Materials Forum, 28 224-229. Wang, H., Ning, Z. L., Yao, X., Davidson, C J and St John, D. H. (2004) Thixotropic structure formation in hypoeutectic Al-Si alloys by controlled nucleation. Materials Forum, 28 1316-1321. Bettles, C. J., Forwood, C. T., Jones, D. S., Griffiths, J. R., Frost, M. T., St John, D. H., Qian, M., Song, G-L. and Nie, J. F. (2003) AMC-SC1: A new Magnesium alloy suitable for powertrain applications. SAE Transactions, 112 5: 726-732. Yao, X., Davidson, C. J., Dahle, A. K. and St John, D. H. (2002) Modelling of microstructure formation and evolution during solidification. International Journal of Cast Metals Research, 15 3: 219-223. McDonald, S., Dahle, A. K., Taylor, J. A., St John, D. H. and Zindel, J. W. (2001) Microstructural evolution and defect formation in Al-Si-Cu-Mg foundry alloy during solidification. Die Casting Bulletin, 88 12-19. Taylor, J. A., St John, D. H., Zheng, L., Edwards, G. A., Barresi, J. and Couper, M. J. (2001) Solution treatment effects in Al-Si-Mg casting alloys: Part 1 - intermetallic phases. Aluminium Transactions: An International Journal, 4-5 95-110. Taylor, J. A., St John, D. H. and Couper, M. J. (2001) Solution treatment effects in Al-Si-Mg cating alloys: Part 2 - Solid solution chemistry. Aluminium Transactions: An International Journal, 4-5 111-124. Dahle, A. K. and St John, D. H. (2001) The causes of ribbon shaped defects in magnesium die castings. Giesserei-Praxis, 7 284-290. Otte, M., Schneider, W., St John, D. H. and Taylor, J. A. (2001) The influence of certain elements on porosity formation in an AlSi9Cu3 casting alloy. Giesserei Forschung, 53 1: 1-14. Dahle, A. K. and St John, D. H. (2000) A K Dahle and D H St John, "Prevent banded defects in high-pressure diecast magnesium alloys", Invited Feature Article. Modern Casting, 90 2: 43-46. Dahle, A. K., St John, D. H., Attavanich, P. and Taopetch, P. (2000) Aluminium alloys - their physical and mechanical properties: Grain formation in AlSi7Mg0.35 foundry alloy at low superheat. Materials Science Forum, 331-337 271-276. Song, GL and StJohn, D (2000) Corrosion performance of magnesium alloys MEZ and AZ91. International Journal of Cast Metals Research, 12 6: 327-334. Dahle, A. K., St John, D. H. and Dunlop, G. L. (2000) Developments and challenges in the utilisation of magnesium alloys. Materials Forum, 24 167-182. Dahle, A. K., St John, D. H., Attavanich, P. and Taopetch, P. (2000) Grain formation in AlSi7Mg0.35 foundary alloy at low superheat. Materials Science Forum, 331 . Taylor, J. A., St John, D. H., Barresi, J. and Couper, M. J. (2000) Influence of Mg content on the microstructure and solid solution chemistry of Al-7%Si-Mg casting alloys during solution treatment. Materials Science Forum, 331 . Taylor, J. A., St John, D. H., Barresi, J. and Couper, M. J. (2000) Influence of Mg content on the microstructure and solid solution chemistry of Al-7%Si-Mg casting alloys during solution treatment. Materials Science Forum, 331-337 277-282. Instone, S, StJohn, D and Grandfield, J (2000) New apparatus for characterising tensile strength development and hot cracking in the mushy zone. International Journal of Cast Metals Research, 12 6: 441-456. Nave, M., Dahle, A. K. and St John, D. H. (2000) The effect of solidification rate on the structure of magnesium-aluminium eutectic grains. International Journal of Cast Metals Research, 13 1: 1-7. Easton, M. and St John, D. H. (1999) Grain refinement of aluminum alloys: Part I. The nucleant and solute paradigms - a review of the literature. Metallurgical & Materials Transactions A, 30A 6: 1613-1623. Easton, M. and St John, D. H. (1999) Grain refinement of aluminium alloys II. Confirmation of, and a mechanism for, the solute paradigm. Metallurgical & Materials Transactions A, 30A 6: 1625-1633. Dahle, A. K., Thevik, H. J., Arnberg, L. and St John, D. H. (1999) Modelling the fluid flow induced stress and collapse in a dendritic network. Metallurgical & Materials Transactions B, 30B 2: 287-293. St John, D. H., Dahle, A. K., Easton, M., Hutt, J. and Veldman, N. (1999) Solidification of hypoeutectic aluminium - silicon alloys. Materials Forum (Australia), 23 137-152. St John, D. H. and Easton, M. (1999) The origin of equiaxed crystals in grain refined aluminium alloys. Aluminium Transactions, 1 1: 51-58. Hutt, J. and St John, D. (1998) The origins of the equiaxed zone -Review of theoretical and experimental work. International Journal of Cast Metals Research, 11 1: 13-22. Barresi, J., Chen, Z., Davidson, C. J., Murray, M. T., Nguyen, T., Stjohn, D. H. and Thorpe, W. R. (1996) Casting of aluminium alloy components. Materials Forum, 20 53-70. Mouritz, Adrian P. and St John, David H. (1992) Wear of some commercial epoxy resin/ceramic particle composites by sliding and impact abrasion. Metals forum, 16 1: 9-18. Hay, S., Nairn, J. D. and St. John, D. H. (1991) Secondary precipitate growth in Mg-PSZ. Key Engineering Materials, 53-55 744-749. STJOHN, DH and HOGAN, LM (1977) AL3TI AND GRAIN REFINEMENT OF ALUMINUM. Journal of the Australasian Institute of Metals, 22 3-4: 160-166. Sun, Ming, Guohua, Wu, Easton, M. A., StJohn, D. H., Abbott, T. and Ding, Wenjiang (2012). A comparison of the microstructure of three Mg-Zr master alloys and their grain refinement efficiency. In: Warren J. Poole and Karl-Ulrich Kainer, 9th International Conference on Magnesium Alloy and Their Applications: Conference Proceedings. 9th International Conference on Magnesium Alloy and Their Applications, Vancouver, Canada, (873-880). 8-12 July 2012. Easton, Mark, Davidson, Cameron and St John, David (2010). Grain morphology of as-cast wrought aluminium alloys. In: Osamu Umezawa, Shinji Kumai, Yoshimasa Takayama, Takayuki Tsuchida and Tatsuo Sato, Proceedings of the 12th International Conference on Aluminium Alloys. 12th International Conference on Aluminium Alloys (ICAA12), Yokohama, Japan, (173-178). 5-9 September 2010. Viano, David Michael, Wells, M. and St John, David H. (2009). A comparison of hot tear testing and hot tensile testing of Al-Cu alloys. In: Bearne, G, TMS 2009: Proceedings. 138th TMS Annual Meeting, San Francisco, CA, United States, (817-822). 15-19 Feb 2009. StJohn, D. H., Easton, M. A. and Qian, Ma (2009). An inverse growth restriction model for predicting solidified grain size. In: Steve L. Cockcroft and Daan M. Maijer, Modeling of Casting, Welding, and Advanced SolidificationProcesses-XII : Proceedings from the Twelfth International Conference on Modeling of Casting, Welding and Advanced Solidification Processes. 12th International Conference on Modeling of Casting, Welding and Advanced Solidification Processes, Vancouve, Canada, (477-484). 7-14 June 2009. StJohn, D. H., Easton, M. A. and Qian, Ma (2009). An overview of CAST's magnesium programs and an update on recent grain refinement research. In: Karl U. Kainer, Proceedings of. Magnesium: 8th International Conference on Magnesium Alloys and their Applications.. Magnesium: 8th International Conference on Magnesium Alloys and their Applications, Weimar, Germany, (1367-1382). 26-29 October 2009. St John, David H., Easton, Mark A., Cao, Peng and Qian, Ma (2007). A new approach to the analysis of grain refinement. In: Howard Jones, Solidification processing 2007: SP07: Proceedings of the 5th Decennial International Conference on Solidification Processing. 5th Decennial International Conference on Solidification Processing, Sheffield, United Kingdom, (99-103). 23-25 July 2007. Easton, M., St John, D.H. and Kaufmann, H. (2007). A re-analysis of the effect of cooling conditions on grain size in conventional and semi-solid casting. In: Jones, H., Solidification Processing 2007. 5th Decennial International Conference on Solidification Processing, Sheffield, United Kingdom, (144-147). 23-25 July 2007. Lu, L., Dahle, A.K., Davidson, C. and St John, D.H. (2007). Hot Tearing of Al-Si Alloys. In: Sorlie, M., Proceedings of the technical sessions presented by the TMS Aluminium Commission. Light Metals 2007, Orlando, Florida, USA, (721-726). February 25 - March 1 2007. Viano, D.M., Spittle, J.A., Brown, S.G.R. and St John, D.H. (2007). Hot tearing in aluminium-zinc binary alloys: a comparison between experimental and modelling results. In: Jones, H., Proceedings of the 5th Decennial Conference on Solidification Processing. Solidification Processing 2007 (SP07), Sheffield, United Kingdom, (540-543). 23-25 July 2007. Easton, M. and St John, D.H. (2007). Theoretical Advances leading to improvements in Commercial Grain Refinement Practices in Al Alloys. In: Cairney, J. and Ringer, S., Materials Forum. Materials and Austceram 07, Sydney, Australia, (57-63). 4-6 July 2007. Cao, P., Qian, Ma, Kondoh, K. and StJohn, D. H. (2006). A comparative study of carbon additives on grain refinement of magnesium alloys. In: K. U. Kainer, Magnesium: Proceedings of the 7th International Conference Magnesium Alloys and Their Applications. Magnesium 2006: 7th International Conference on Magnesium Alloys and Their Applications, Dresden, Germany, (8-13). 6-9 November 2006. StJohn, D. H., Cao, Peng, Qian, Ma and Easton, Mark A. (2006). A reassessment of the grain refinement mechanisms of magnesium alloys. In: K. U. Kainer, Magnesium: Proceedings of the 7th International Conference Magnesium Alloys and Their Applications. Magnesium 2006: 7th International Conference on Magnesium Alloys and Their Applications, Dresden, Germany, (189-199). 6-9 November 2006. Song, Guangling, Hapugoda, Sarath, StJohn, David and Bettles, Colleen (2006). Simulation of atmospheric environments for storage and transport of magnesium and its alloys. In: Luo, AA, Neelameggham, NR and Beals, RS, Symposium on Magnesium Technology 2006, San Antonio Tx, (3-6). Mar 12-16, 2006. Viano, David, Stjohn, David, Grandfield, John and Cáceres, Carlos (2005). Hot tearing in aluminium - Copper alloys. In: Light Metals 2005 - Proceedings of the Technical Sessions Presented by the TMS Aluminium Committee. 134th TMS Annual Meeting, , , (1069-1073). February 13, 2005-February 17, 2005. Song, G. and St John, D. H. (2005). Corrosion Inhibition of Magnesium Alloys in Coolants. In: Neelameggham, N, Kaplan, HI and Powell, BR, Magnesium Technology 2005. Magnesium Technology 2005, San Francisco, USA, (469-474). February 13-17 2005. Cao, Peng, Qian, Ma and St John, David (2005). Grain refinement of commercial purity Mg-9%Al alloys by superheating. In: Neal R. Neelameggham, Howard I. Kaplan and Bob Ross Powell, Magnesium Technology 2005: Proceedings of the Symposium on Magnesium Technology. TMS 2005. 134th Annual Meeting and Exhibition: Fundamental Science, Emerging Technology, Practical Application--Where the Connection is Made., San Francisco, CA, U.S.A., (297-302). 13-17 February 2005. Cao, P., Qian, Ma and StJohn, D. H. (2005). Grain refinement of magnesium-aluminium alloys by iron inoculation. In: Jian-Feng Nie, Nigel A. Stone and Matthew Barnett, Advanced Materials Processing. Proceedings of the 3rd International Conference on Advanced Materials Processing (ICAMP-3) and International Ceramic Conference & Exhibition, Austceram 2004. 3rd International Conference on Advanced Materials Processing (ICAMP-3) and International Ceramic Conference & Exhibition AUSTCERAM 2004, Melbourne, VIC, Australia, (301-305). 29 November-1 December 2004. St John, D. H. and Easton, M. (2005). The Application of a New Analytical Method for the Assessment of the Grain Refinement of Light Alloys. In: Dr Kaufmann, Proceedings of the 2nd International Light metals Technology Conference 2005. International Light metals Technology, St Wolfgang am Wolfgangsee, Austria, (63-68). June 2005. Easton, M., Wang, H., Grandfield, J., StJohn, D. and Sweet, E. (2004). An analysis of the effect of grain refinement on the hot tearing of aluminium alloys. In: , , (224-229). .
Wang, H., Ning, Z. L., Davidson, C. J., StJohn, D. H. and Xie, S. S. (2004). Thixotropic structure formation in A390 hypereutectic Al-Si alloy. In: Proceedings of the 8th International Conference on Semi-Solid Processing of Alloys and Composites, S2P 2004. 8th International Conference on Semi-Solid Processing of Alloys and Composites, S2P 2004, , , (553-561). September 21, 2004-September 23, 2004. St John, D. H. and Easton, M. (2004). Factors affecting the development of a fine grained solidification microstructure in aluminium alloys. In: Chu, MG, Granger, DA and Han, QY, Light Metals 2004: Proceedings of the Technical Sessions presented by the TMS Aluminum Committee at the 133rd TMS Annual Meeting. 133rd TMS Annual Meeting & Exhibition, Charlotte, USA, (147-156). 14-18 March 2004. Hildebrand, Zoë C.G., Qian, Ma, StJohn, David H. and Frost, Malcolm T. (2004). Influence of zinc on the soluble zirconium content in magnesium and the subsequent grain refinement by zirconium. In: Alan A. Luo, Magnesium Technology 2004: Proceedings of the Symposium on Magnesium Technology 2004 held at the TMS Annual Meeting. TMS 2004: 133rd Annual Meeting and Exhibition, Charlotte, North Carolina, U.S.A., (241-245). 14-18 March 2004. Easton, M., St John, D. H. and Sweet, E. (2004). Reducing the cost of grain refiner additions to VDC castings. In: Tabereaux, AT, Light Metals 2004: Proceedings of the Technical Sessions presented by the TMS Aluminum Committee at the 133rd TMS Annual Meeting. 133rd TMS Annual Meeting & Exhibition, Charlotte, North Carolina, USA, (827-831). 14-18 March 2004. St John, D. H. (2004). The Australian Die Casting industry in a lighter, greener future. In: S Gulizia, 12th Die Casting Conference of the Australian Die Casting Association. 12th Die Casting Conference of the Australian Die Casting Assn, Melbourne, Australia, (1-5). 28-31 March 2004. Barnett, RS, Taylor, JA and St John, DH (2004). The influence of hydrogen on the hot tearing susceptibility of aluminium-silicon alloys. In: Chu, MG, Granger, DA and Han, QY, Solidification of Aluminum Alloys. Symposium on Solidification of Aluminum Alloys held at the TMS 2004 Annual Meeting, Charlotte Nc, (201-209). Mar 14-18, 2004. Barnett, R. S., Taylor, J. A. and St John, D. H. (2004). The influence of hydrogen on the hot tearing suseptibility of aluminium-silicon alloys. In: M G Chu, D A Granger and Q Han, Solification of Aluminium Alloys TMS 133rd Annual Meeting & Exhibition. Proceedings of the TMS 133rd Annual Meeting & Exhibition, North Carolina, USA, (201-209). 15-18 March 2004. Barnett, R. S., Taylor, J. A. and St John, D. H. (2003). A method for reducing hot tearing in 356 alloy air-intake manifolds. In: A Dahle, Proceedings of the 1st International Light Metal Technology Conference 2003. Light Metals Technology Conference 2003, Brisbane, Australia, (175-178). 18-20 September 2003. Bettles, Colleen Joyce, Forwood, Christopher, StJohn, David, Frost, Malcolm, Jones, Darryl, Qian, Ma, Song, Guangling, Griffiths, John and Nie, Jian Feng (2003). AMC-SCI: An elevated temperature magnesium alloy suitable for precisiion sand casting of powertrain components. In: Howard I. Kaplan, Magnesium Technology 2003: Proceedings of the jointly sponsored by the Magnesium Committee of the Light Metals Division (LMD) and the Solidification Committee of the Materials Processing and Manufacturing Division of TMS with the International Magnesium Association held during the 2003 TMS Annual Meeting. Magnesium Technology 2003, San Diego, California, (223-226). 2-6 March, 2003. St John, D. H. (2003). Automotive applications for light metals. In: The Future of the Motor Car! Emerging Transport Technology Conference. The Future of the Motor Car! Emerging Transport Technology Coe, Adelaide, Australia, (59-64). 28-29 October 2003. Hildebrand, Z. C., Qian, Ma, St John, D. H. and Frost, M. T. (2003). Dissolution of Zirconium as AM-Cast in Magnesium. In: A. Dahle, Proceedings of the 1st International Light Metal Technology Conference 2003. Light Metals Technology Conference 2003, Brisbane, Australia, (195-198). 18-20 September 2003. Hildebrand, Zoe, Qian, Ma, StJohn, D. H. and Frost, M. T. (2003). Dissolution of zirconium as zirCAST in molten magnesium. In: Proceedings of the 1st International Light Metals Technology Conference. 1st Light Metals Technology Conference, Brisbane, Australia, (195-198). 18-20 September, 2003. Cao, P., Qian, Ma, StJohn, D. H. and Frost, M. T. (2003). Effect of the uptake of iron on the grain refinement of pure magnesium by zirconium. In: Proceedings of the 1st International Light Metals Technology Conference. 1st Light Metals Technology Conference, Brisbane, Australia, (183-186). 18-20 September, 2003. Qian, Ma, StJohn, D. H., Frost, M. T. and Barnett, R. M. (2003). Grain refinement of pure magnesium using rolled zirmax master alloy (Mg-33.3ZR). In: Howard I. Kaplan, Magnesium Technology 2003: Proceedings of the jointly sponsored by the Magnesium Committee of the Light Metals Division (LMD) and the Solidification Committee of the Materials Processing and Manufacturing Division of TMS with the International Magnesium Association held during the 2003 TMS Annual Meeting. Magnesium Technology 2003, San Diego, California, USA, (215-220). 2-6 March, 2003. Binney, M. N., StJohn, D. H., Dahle, A. K., Taylor, J. A., Burhop, E. C. and Cooper, P. S. (2003). Grain refinement of secondary aluminium-silicon casting alloys. In: Paul N. Crepeau, Light Metals 2003: Proceedings of the technical sessions presented by the TMS Aluminium Committee at the 132nd TMS annual meeting. TMS2003: 132nd Annual International Meeting & Exhibition, San Diego, CA, U.S.A., (917-922). 2-6 March 2003. Viano, D. M., St John, D. H., Caceres, C. H. and Grandfield, J. F. (2003). Hot tearing of aluminium - copper alloys. In: Kvande, H, Proceedings of the 1st International Light Metal Technology Conference 2003. Light Metals Technology Conference 2003, Brisbane, Qld, Australia, (247-250). 18-20 September, 2003. Cao, P., Qian, Ma, St John, D. H. and Frost, M. T. (2003). Influence of the Uptake of Iron on the Grain Refinement of Pure Magnesium by Zirconium. In: A. Dahle, Proceedings of the 1st International Light Metal Technology Conference 2003. Light Metals Technology Conference 2003, Brisbane, Australia, (183-186). 18 - 20 September, 2003. Song, G., Atrens, A., Jia, J.X. and St John, D. H. (2003). Modeling and Experimental Study of the Galvanic Corrosion of AZ91D Magnesium Alloy in contact with Steel in NaC1 solution. In: 13th Asian-Pacific Corrosion Control Conference. 13th Asian-Pacific Corrosion Control Conference, Japan, (14-14). 16-21 November 2003. Easton, M., St John, D. H., Sweet, L. and Couper, M. J. (2003). Optimising the cost of grain refinement by separate TiB2 and Ti additions to wrought aluminium alloys. In: P Whiteley, 8th Aluminium Cast House Technology Conference. 8th Aluminium Cast House Technology Conference, Brisbane, Australia, (153-165). 14-17 September 2003. Jia, J.X., Song, G., Atrens, A., St John, D. H. and Chandler, G. A. (2003). Prediction and experimental measurement of galvanic corrosion for a magnesium-steel couple in corrosive water. In: A Dahle, The First International Light Metals Technology Conference 2003. The First International Light Metals Technology Conference 203, Brisbane, Australia, (397-400). 18-20 September 2003. Wang, H., Davidson, C. J. and St John, D. H. (2003). Semi-solid casting of A356 alloy produced by controlled pouring. In: A Dahle, Proceedings of the 1st International Light Metal Technology Conference 2003. Light Metals Technology Conference 2003, Brisbane, Australia, (219-222). 18-20 September 2003. St John, D. H., Dahle, A. K., Abbott, T., Nave, M. D. and Qian, Ma (2003). Solidification of cast magnesium alloys. In: Howard I. Kaplan, Magensium Technology 2003: Proceedings of the jointly sponsored by the Magnesium Committee of the Light Metals Division (LMD) and the Solidification Committee of the Materials Processing and Manufacturing Division of TMS with the International Magnesium Association held during the 2003 TMS Annual Meeting. Magnesium Technology 2003, San Diego, California, USA, (95-100). 2-6 March, 2003. St John, D. H. (2003). The CAST CRC - A light metals partnership between industry and R&D providers. In: A Dahle, Proceedings of the 1st International Light Metal Technology Conference 2003. Light Metals Technology Conference 2003, Brisbane, Australia, (3-8). 18-20 September 2003. Bettles, C.J., Beste, F., St John, D. H. and Frost, M. (2003). The lightweight concept engine: A novel crankcase design with a new magnesium alloy. In: A Dahle, The First International Light Metals Technology Conference 2003. The First International Light Metals Technology Conference 203, Brisbane, Australia, (69-73). 18-20 September 2003. Dinnis, C., Taylor, John A., Dahle, Arne K., St John, David H. and Schneider, W. (2003). The role of manganese and iron in porosity formation in Al-Si foundry alloys. In: Light metals: Proceedings of the 42nd Annual Conference of Metallurgists: Global Solutions for Metals and Materials. Proceedings of the 42nd Annual Conference of Metallurgists, Pennsylvannia, U.S.A., (483-497). 24 - 27 August, 2003. Qian, Ma, StJohn, D. H. and Frost, M. T. (2003). Zirconium alloying and grain refinement of magnesium alloys. In: Howard I. Kaplan, Magnesium Technology 2003: Proceedings of the jointly sponsored by the Magnesium Committee of the Light Metals Division (LMD) and the Solidification Committee of the Materials Processing and Manufacturing Division of TMS with the International Magnesium Association held during the 2003 TMS Annual Meeting. Magnesium Technology 2003, San Diego, California, USA, (209-214). 2-6 March 2003. Wang, H., Davidson, C. J., Taylor, J. A. and StJohn, D. H. (2002). Semisolid casting of AlSi7Mg0.35 alloy produced by low-temperature pouring. In: Aluminium Alloys 2002 Their Physical and Mechnaical Properties: Proceedings of the 8th International Conference ICAA8, , , (143-148). July 2, 2002-July 5, 2002. Boot, Dave, Cooper, Paul, StJohn, David H. and Dahle, Arne K. (2002). A comparison of grain refiner master alloys for the foundry. In: , , (909-915). . Boot, D, Cooper, P, St John, D. H. and Dahle, A. K. (2002). A comparsion of grain refiner master alloys for the foundry. In: W Schneider, Light Metals 2002. TMS Annual Meeting, 2002, Seattle, WA, USA, (909-916). 17-21 February 2002. Taylor, J. A. and St John, D. H. (2002). A cooperative process for conducting R&D in the aluminium casthouse products sector. In: Wolfgang Schneider, Light Metals 2002. 131st TMS Annual Meeting - Light Metals Symposium, Seattle, WA, USA, (659-666). 17-21 February 2002. Taylor, JA and StJohn, DH (2002). A cooperative process for conducting R&D in the alumnium casthouse products sector. In: Schneider, WA, Light Metals 2002. 131st TMS Annual Meeting, Seattle Wa, (659-666). Feb 17-21, 2002. Taylor, J. A., St John, D. H. and Bainbridge, I. F. (2002). Cooperative R&D for the aluminium casthouse. In: M Nilmani, Alcastek 2002 Aluminium Cast House Technology. 1st International Conference on Aluminium Casthouse Technology (Al), Mumbai, India, (90-99). 1-4 December, 2002. Qian, Ma, StJohn, D. H. and Frost, M.T. (2002). Zirconium alloying and grain refinement of magnesium alloys with zirmax. In: Proceedings of the Australia-Japan Workshop on Advancements in Magnesium Alloys and Processes. Australia-Japan Workshop on Advancements in Magnesium Alloys and Processes, Brisbane, Noosa and Central Queensland, (). 23-26 January, 2002. Taylor, J. A., Wang, H., St John, D. H. and Bainbridge, I (2001). Anomalous grain coarsening behaviour in grain-refined aluminium alloys cast using low superheat. In: J L Anjier, Light Metals 2001. 130th TMS Annual Meeting - Light Metals Symposium, New Orleans, LO, USA, (935-941). 11-15 Feb 2001. McDonald, S., Dahle, A. K., Taylor, J. A. and St John, D. H. (2001). Eutectic solidification in Sr-modified hypoeutectic Al-Si alloys. In: E Pereloma and K Raviprasad, Engineering Materials 2001. Biennial Conference of Institute of Materials Engineering Australia, Melbourne, Vic, (153-158). 23-26 Sept 2001. St.John D.H. and Easton M.A. (2001). Recent developments in the prediction of grain refiner performance. In: Whiteley, PR, 7th Australian Asian Pacific Conference, Hobart Australia, (151-160). Sep 23-26, 2001. Easton, MA and StJohn, DH (2001). The effect of alloy content on the grain refinement of aluminium alloys. In: Anjier, JL, 130th TMS Annual Meeting, New Orleans La, (927-933). Feb 11-15, 2000. Otte, M., McDonald, S., Taylor, J. A., St John, D. H. and Schneider, W. E. (2000). Controlling porosity-related casting rejects: Understanding the role of iron in Al-Si alloys. In: 103rd AFS Casting Congress. 103rd AFS Casting Congress, St Louis, MO, USA, (471-478). 13-16 March 1999. Nave, M., Dahle, A. K. and St John, D. H. (2000). Eutectic growth morphologies in magnesium-aluminium alloys. In: H. I. Kaplan, J. N. Hyrn and B. B. CLow, Magnesium Technology 2000. TMS Annual Meeting 2000, Nashville, TN, USA, (233-242). 12-16 March 2000. Dahle, A. K., Hutt, J., Lee, Y. and St John, D. H. (2000). Grain formation in hypoeutectic Al-Si alloys. In: Transactions of the American Foundrymen's Society. 103rd AFS Casting Congress, St Louis, MO, USA, (265-270). 13-16 March 1999. Lee, Y., Dahle, A. K. and St John, D. H. (2000). Grain refinement of magnesium. In: H. I. Kaplan, J. N. Hryn and B. B. Clow, Magnesium Technology 2000. TMS Annual Meeting 2000, Nashville, TN, USA, (211-218). 12-16 March 2000. Lee, Y., Dahle, A. K. and St John, D. H. (2000). Grain size control in magnesium by the addition of solute elements. In: N. J. Kim and G. L. Dunlop, Joint Australia-Korea Workshop on Light Alloys (CD-Rom). Joint Australia-Korea Workshop on Lightt Alloys, Cheju, Korea, (86-89). 25-26 May 2000. Tate, B., Farnsworth, D. J., St John, D. H., Taylor, J. A. and Barnett, M. R. (2000). Heat treatment optimisation of cast aluminium automotive components. In: Proceedings of 32nd Australasian Foundry Conference. Milenium Meltdown, Christchurch, New Zealand, (12). 27-30 August, 2000. Taylor, J. A., Lanham, B. W., Ricketts, N. J. and St John, D. H. (2000). How to take up the magnesium challenge - a road map for the journey. In: Proceedings of 32rd Australasian Foundry Conference. Mellenium Meltdown, Christchurch, New Zealand, (25). 27-30 August, 2000. McDonald, S. D., Dahle, A. K., Taylor, J. A., St John, D. H. and Zindel, J. W. (2000). Microstructural evolution of an Al-Si-Mg foundry alloy during solidification. In: Proceedings of 11th Biennial Die Casting Conference of the Australian Die Casting Association. Die Casting 2000, Melbourne, Australia, (25/1-7). 3 - 6 September, 2000. Tate, B., Farnsworth, D. J., St John, D. H., Taylor, J. A. and Barnett, M. R. (2000). Opportunities for heat treatment optimisation of cast aluminium automotive components. In: Proceedings of 11th Biennial Die Casting Conference of the Australian Die Casting Association. Die Casting 2000, Melbourne, Australia, (29/1-6). 3-6 September, 2000. St John, D. H. (2000). The role of solidification in determining the quality of Al and Mg castings. In: N J Kim and G L Dunlop, Joint Australia-Korea Workshop on Light Alloys (CD-Rom). Joint Australia-Lorea Workshop on Light Alloys, Cheju, Korea, (61-64). 25-26 May 2000. Nave, M., Dahle, A. K. and St John, D. H. (2000). The role of zinc in the eutectic solidification of magnesium-aluminium-zinc alloys. In: H. I. Kaplan, J. N. Hryn and B. B. Clow, Magnesium Technology 2000. TMS Annual Meeting 2000, Nashville, TN, USA, (243-250). 12-16 March 2000. St John, D. H., Dahle, A. K. and Instone, S. S. (1999). CAST's solidification researcch relevant to DC casting. In: P. R. Whiteley and J. F. Grandfield, 6th Australian Asian Pacific Conference on Aluminium Casthouse Technology Proceedings. Aluminium Casthouse Technology, 6th Australian Asian Pacific Conference, Sydney, (53-62). 26-29 July 1999. Otte, MO, Mcdonald, SD, Taylor, JA, St John, DH and Schneider, W (1999). Controlling porosity-related casting rejects: Understanding the role of iron in Al-Si alloys. In: Transactions of the American Foundrymen'S Society, Vol 107. 103rd Annual Meeting of the American-Foundrymen's-Society, St Louis Mo, (471-478). Mar 13-16, 1999. Dahle, A. K. and St John, D. H. (1999). The challenges for the manufacture of magnesium components. In: Shapes, Structures, Surfaces. IMEA Sydney Branch 1999 Seminar, Sydney, (27-42). 19 October 1999. Hutt, J., Dahle, A. K., Lee, Y. and St John, D. H. (1999). The effects of growth restriction and effective nucleant potency on grain size and morphology in Al-Si and Al-Cu alloys. In: C. E. Eckert, Light Metals 1999. Light Metals 1999, San Diego, CA, USA, (685-692). 28 February - 4 March 1999. Dahle, A. K. and St John, D. H. (1999). The origin of banded defects in high pressure die cast magnesium. In: Transactions of 20th International Die Casting Congress & Exposition. 20th International Die Casting Congress & Exposition, Cleveland, OH, USA, (203-210). 1-4 November 1999. Sequeira, W. P., Murray, M. T., Dunlop, G. L. and StJohn, D. H. (1997). Effect of section thickness and gate velocity on the microstructure and mechanical properties of high pressure die cast magnesium alloy AZ91D. In: Automotive Alloys. Proceedings of the 1997 TMS Annual Meeting, , , (169-183). February 9, 1997-February 13, 1997. Zhang D.L. and St John D.H. (1996). Effect of magnesium and copper content on the mechanical properties of cast Al-7wt%Si-Mg alloys. In: Bryant, JD and White, DR, Proceedings of the TMS Materials Week'95 Symposium, Cleveland, OH, USA, (3-15). October 29, 1995-November 2, 1995. Taylor, J., St John, D. and Schaffer, G. (1995). Aluminium alloys and processing problems: Castability of alloys used for high integrity castings. In: 4th Australasian Asian Pacific Conference On Aluminium Cast House Technology. 4th Australasian/Asian/Pacific Conference on Aluminium Cast House Technology - Theory and Practice, Sydney Australia, (237-248). 3-6 July 1995. Hay, S. and St John, D. H. (1993). Models of gas-solid particle erosion of metals and alloys. In: Proceedings of the 1st Conference on Dynamic Loading in Manufacturing and Service, , , (215-219). February 9, 1993-February 11, 1993. St John, D.H., Matthew, S.P. and Hayes, P.C. (1992). Conditions for the formation of dense and porous iron on reduction of wustite in H2/H2O and CO/CO2 gas mixtures. In: International Symposium on Iron and Steelmaking, Toronto, (). .
Hamlyn-Harris, James, St. John, D. H. and Sood, D. K. (1986). COMPARATIVE STUDY OF THE CRYSTALLIZATION OF Ni-P AMORPHOUS ALLOYS PRODUCED BY ION-IMPLANTATION AND MELT SPINNING. In: Beam-Solid Interactions and Phase Transformations., , , (497-502). .
St. John, D. H., Hogan, L. M. and Eady, J. A. (1986). INFLUENCE OF MICROSTRUCTURES ON THE TENSILE PROPERTIES OF Al-Ti ALLOYS. In: , , (519-524). .
St John, D. H., Matthew, S. P. and Hayes, P. C. (1985). Microstructural changes during the reduction of wustite. In: The AusIMM proceedings. AusIMM Annual Conference, Brisbane QLD Australia, (61-65). 1985. St. John, D. H., Matthew, S. P. and Hayes, P. C. (1984). MICROSTRUCTURAL CHANGES DURING THE REDUCTION OF WUSTITE. In: Extractive Metallurgy Symposium., , , (287-294). .